January 2017. 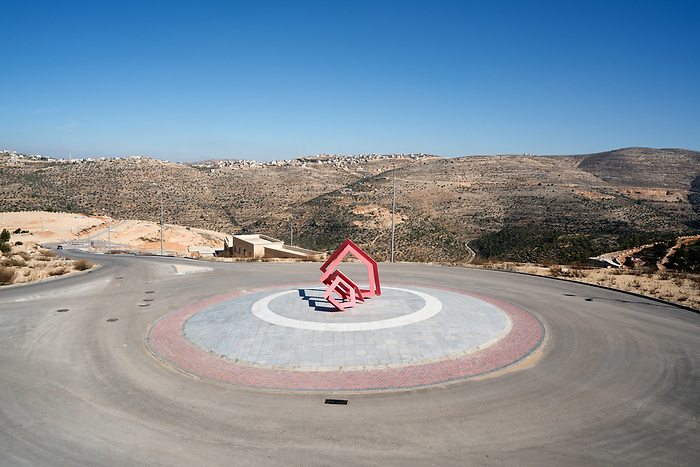 A roundabound leading to “wadina” (our valley), the leisure area of Rawabi with a giant amphitheater, a safari tour, a horse club and a bungee jumping. As the city still counts very few inhabitants, wadina is intended to become a touristic attraction that gives some life to the city on week-ends and holiday times.